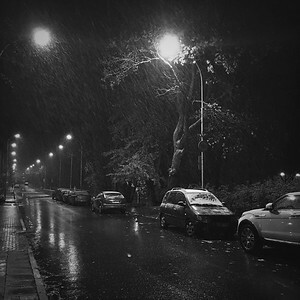 The first snow for my Grand European Adventure. Vilnius, Lithuania. November 2017. Cathedral Square. Old Town Vilnius, Lithuania. November 2017. 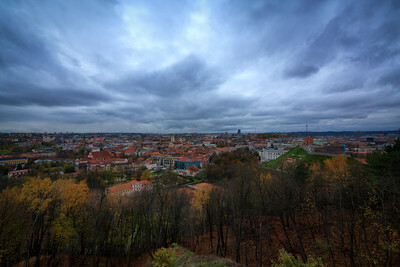 Overlooking Old Town from the Upper Castle. Vilnius, Lithuania. November 2017. Looking north across the Neris River from Gediminas Tower. At the crossroads of Old Town and modern Vilnius. Vilnius, Lithuania. November 2017. She caught my eye as she walked by. 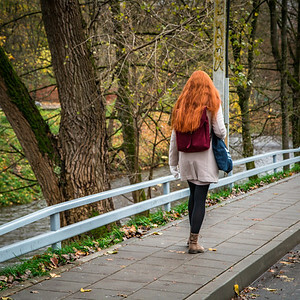 Her hair is the color of fall. 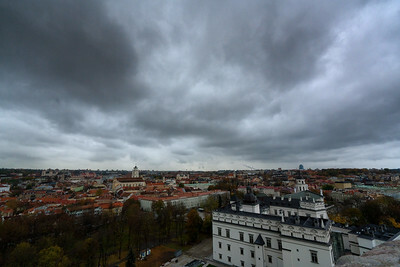 Vilnius, Lithuania. November 2017. 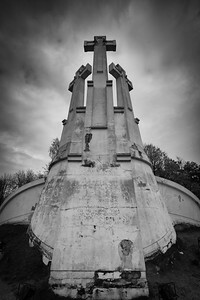 The Hill of Three Crosses. Franciscan friars were executed on this spot in the 14th Century. This monument was torn down and rebuilt many times over the years. The final incarnation of the monument was built in 1989 as part of the Lithuanian Independence Movement. Vilnius, Lithuania. November 2017. 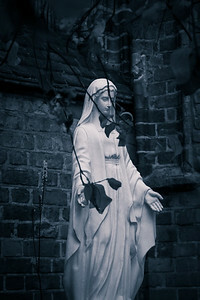 The Virgin Mary statue tucked into a small alcove at the Church of St. Anne's. 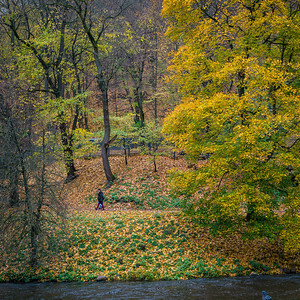 Vilnius, Lithuania. November 2017. 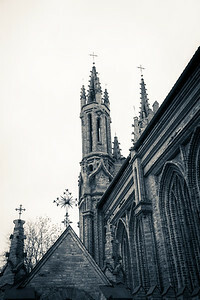 The Church of St. Anne. 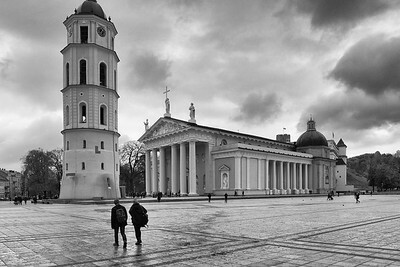 Vilnius, Lithuania. November 2017. You can find hipsters everywhere. 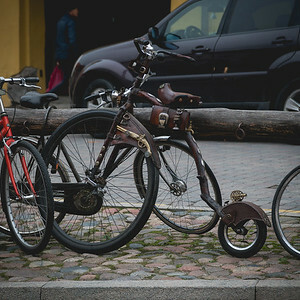 Parked right next to the Angel of Uzupis statue. Vilnius, Lithuania. November 2017. 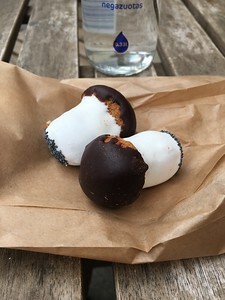 Mushroom cookies. I walked 12 miles that day. Fortunately for me, there are small bakeries everywhere. Vilnius, Lithuania. November 2017. True that. Vilnius, Lithuania. November 2017. 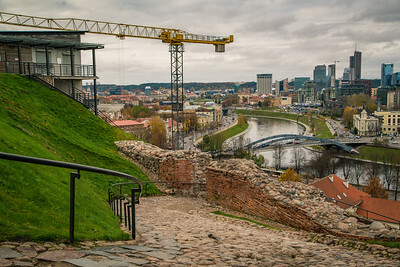 The Bastion of Vilnius City Wall. 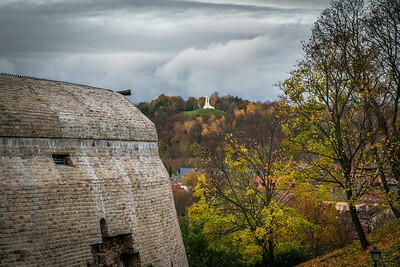 One of the last remaining fortifications to protect Vilnius in the 16th century. The Hill of Three Crosses is visible in the distance. Vilnius, Lithuania. November 2017. 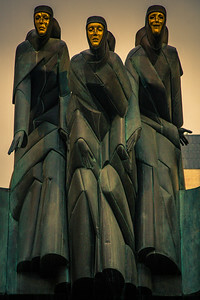 The Three Muses. These lovely ladies sit atop the National Drama Theater. Vilnius, Lithuania. November 2017. 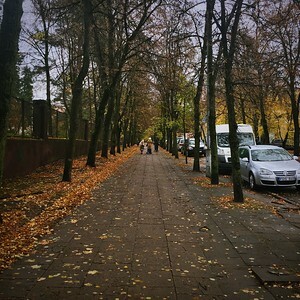 This was my walk to get to Old Town Vilnius. Always lots of people walking along. Vilnius, Lithuania. November 2017. 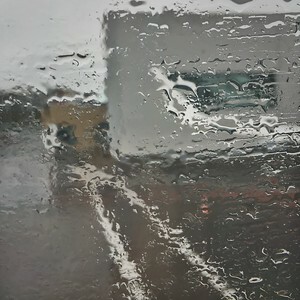 Freezing rain started to fall as I was on the plane to leave. 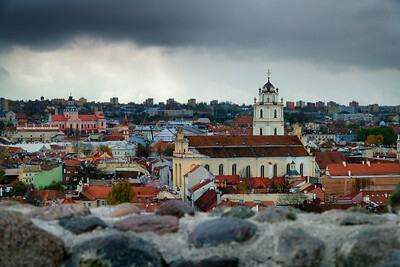 Vilnius, Lithuania. November 2017.